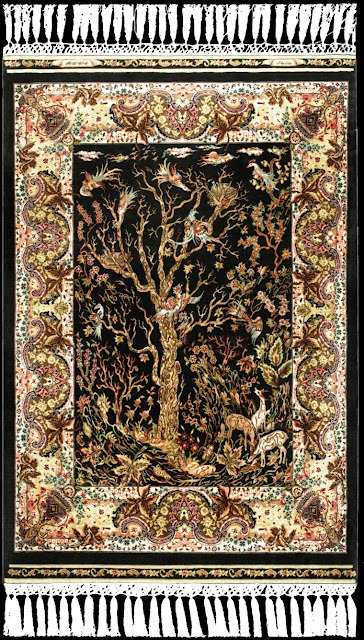 This is a beautiful hand-woven silk carpet. Solveigh told me that it represents the Tree of Life. Mrs. Solveigh Calderin is a nice Scandinavian woman I met on the Internet. She seems to know a lot about fine wool rugs and carpets. I found the image (above) on her website the other day. This is NOT a sponsored endorsement! The Tree of Life is, well, it is symbolic of everything. While highlighting the good. It has been on my mind recently, as Rosh Hashanah was a few weeks (okay, months) ago.